We have 3 cottages for 4- 5 persons. 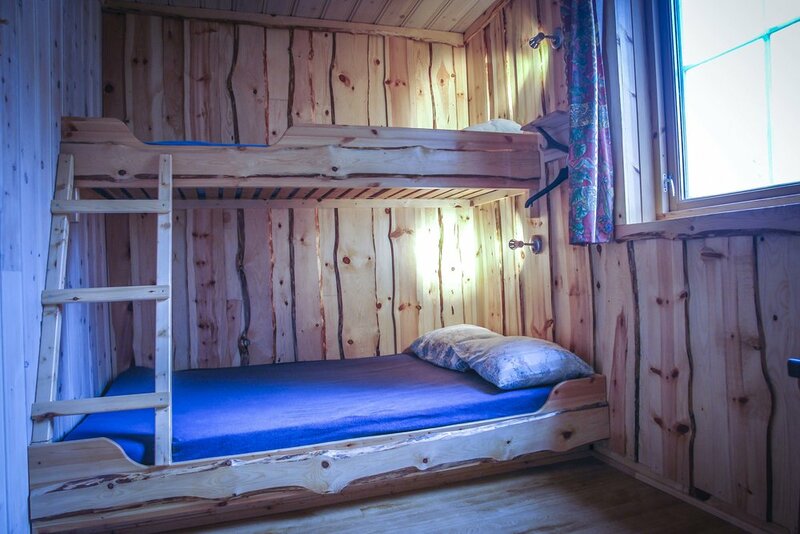 These cottages have 2 rooms, a bedroom with 4 bunk beds and a living room with cookingplates, refrigderator, table and sofa/ chairs. There is no water in these cottages. There is a shared sanitary area with WC/ shower and washing machine for all the 3 cabins. To use the shower is free, to use the washing machine costs NOK 30,-. There is also a well equipped public kitchen nearby where you will find most necessary kitchen utensils. There is a beautiful view to the waterfall / river, the mountains and a small glacier arm, Lundebreen.